The Chiropractic New Patient Exam + First Treatment is a 45 – 60 minute evaluation and treatment by Dr. Moyer, Dr. D, or Dr. Josh. 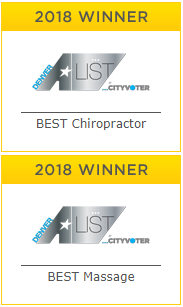 If you are seeking treatment by one of our talented chiropractors for the first time or have not seen either of them in 12 months or longer, this should be the appointment you book first. Your Chiropractic New Patient Exam will begin with an intake of your chief complaints, which are typically the reason you are seeking chiropractic care. After a comprehensive health history review, your Doctor of Chiropractic will begin a physical in order to determine the cause of your symptoms. Once the history and review are complete, the treatment and adjustment will begin. The doctor will give you advice on what to do next, which often includes hydration, ice, rest, stretches, massage, or other exercises. Chiropractic Care is much like other forms of therapy or exercise, the more committed you are to your plan, the more likely you are to reach your desired results.